Posted in Maryland Law News, Workers' Comp. A good friend of mine has told me, multiple times, that she’d never file for workers’ compensation under any circumstances. No matter what. Funny thing is, she interacts with workers’ compensation clients for a living. She goes to their homes, looks at their injuries, talks to them about their pain, hears the stories of struggle to make ends meet. But she’d never file for workers’ compensation, she says. God knows I was brought up to be hard working. This man was relentless when I was younger, and now I’m kind of relentless with myself. It’s part of what drives me to try to build the best workers’ compensation law firm in Maryland. And I would file for workers’ compensation in a second if I was injured. And if any of my employees were hurt, I would certainly want them to file for workers’ compensation. I’d want them to get everything they could to help them cope with being hurt on the job. Often, it’s the hardest working among us who are penalized the most. We have a client who has a serious back injury. Yet he’s missed no time from work. The irony is his case would be worth more if he’d milk it. And his back is just as messed up as others, if not more so. The bottom line, he’s a bit like my friend. Works hard, tough as nails, doesn’t call out. The major difference with my client – he was hurt on the job. Seriously hurt. He didn’t have health insurance. He doesn’t have a choice. The majority of our clients weren’t brought up that way, whatever that means. That’s why it’s a heartbreaker to see them having to come to us, the workers’ compensation lawyers, and say, I didn’t want to get a lawyer, I really didn’t. I don’t want to sue. I just thought they had to pay for my medical bills. Don’t they? The world of folks making hundreds of thousands of dollars a year – the world that runs our society – seems to have completely forgotten about the world of folks bringing home four or five hundred dollars a week. It seems, we simply can’t relate. 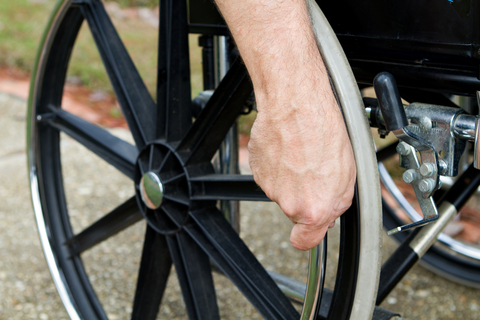 Case in point … We have a client who has a serious, debilitating workers’ compensation injury. There’s zero question he was seriously hurt on the job. The question is, I can only assume, was he following all proper protocols for his employment. (For what it’s worth, he was.) But the case is being contested, and we’re going to have to go to a hearing. A hearing that hasn’t been set yet. A hearing that won’t happen for months. A decision will be multiple weeks after that. In the meantime, he will be evicted, will not get medical care he needs, will fall behind on child support. He might be fired, not that he’s getting paid anything in the meantime anyway. This is our system of workers’ compensation. This is our system designed to rehabilitate the injured worker above all else. The stories are far more heartbreaking than the ones above. Quadriplegics whose benefits get cut off. Limbs lost. Lives lost. Bankruptcy filed. And, what they don’t tell you, is more people on the tab of state and federal government. It’s like corporate welfare that way. Recently, ProPublica and NPR did a story highlighting some of the issues. It’s worth the read. I would suggest that this is the way the system has evolved. It’s no one’s fault. But it is the responsibility of some to fix it. I have much more to say on this, and I will say it. Importantly, where is the bad faith in workers’ compensation? Bad faith insurance law is an important part of personal injury cases. It helps insure the system works. Bad faith is not the same check and balance in workers’ comp that it is in personal injury. By the way, for what it’s worth – if someone has their dominant hand cut off as part of a workplace injury in Maryland, and that injured worker makes $450/week, their total benefits outside of medical bills will be … $75,000. Ask yourself, would you trade your hand for $75,000?